This is not a rumor - BlackBerry Limited has just confirmed that a sale of the company is now possible, next to other strategic options. With a history of almost 15 years and over 200 million smartphones sold, BlackBerry is one of the four major smartphone brands. Unfortunately, we're all going through some pretty rough times and BlackBerry Limited seems to have its own problems. The solution to these problems could be pretty radical, going as far as selling the company. The press release that became public earlier today still leaves room for hope, but also makes it clear - the BlackBerry that we know may disappear from the market pretty soon. The Company's Board of Directors formed a Special Committee that started "to explore strategic alternatives to enhance value and increase scale in order to accelerate BlackBerry 10 deployment". According to the same document, these alternatives "could include" alliances, strategic partnerships, joint ventures, "a sale of the Company or other possible transactions". More than the above, Prem Watsa, Chairman and CEO of Fairfax Financial, the largest BackBerry shareholder, decided to resign "due to potential conflicts that may arise during the process". Unfortunately, the whole press release (available below) doesn't say much, so we can only hope to see BlackBerry finding a way to survive. WATERLOO, ONTARIO – BlackBerry Limited (NASDAQ:BBRY) (TSX:BB), a world leader in the mobile communications market, today announced that the Company's Board of Directors has formed a Special Committee to explore strategic alternatives to enhance value and increase scale in order to accelerate BlackBerry 10 deployment. These alternatives could include, among others, possible joint ventures, strategic partnerships or alliances, a sale of the Company or other possible transactions. With the announcement of the Special Committee, Prem Watsa, Chairman and CEO of Fairfax Financial informed the Company that he felt it was appropriate to resign due to potential conflicts that may arise during the process. Fairfax Financial is the largest BlackBerry shareholder. Mr. Watsa said, "I continue to be a strong supporter of the Company, the Board and Management as they move forward during this process, and Fairfax Financial has no current intention of selling its shares." 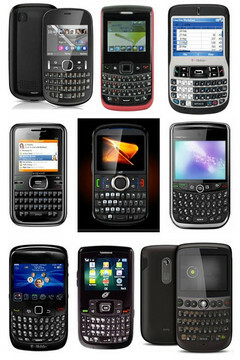 A global leader in wireless innovation, BlackBerry® revolutionized the mobile industry when it was introduced in 1999. Today, BlackBerry aims to inspire the success of our millions of customers around the world by continuously pushing the boundaries of mobile experiences. Founded in 1984 and based in Waterloo, Ontario, BlackBerry operates offices in North America, Europe, Asia Pacific and Latin America. For more information, visit www.blackberry.com.